TEDxFolkestone 2018 speakers take to the stage after sharing their talks. Do you have a burning desire to get on the TEDxFolkestone stage and share your big idea? To help applicants refine their ideas and ensure they fully understand the TEDx rules, we’re hosting an open pitch night on Tuesday 27 November at The Chambers in Folkestone – from 6-9pm. Come along, pitch your (working) idea to the TEDxFolkestone team, and get instant feedback. Be warned though – you’ve only got 5 minutes! So the faster your pitch, the more time you get for feedback. The ‘open pitch’ part of the night will be to the whole room and TEDxFolkestone team members. Whilst only the TEDxFolkestone team will be giving verbal feedback, the rest of the room will have access to notelets to write feedback and questions for the pitcher, which will be collected at the end and given to the pitcher as further insight of what people understand from their idea. The ‘group pitches’ part of the night will see the TEDxFolkestone team members separate into smaller subgroups – so that more people can get feedback during this session, and so that those who don’t feel ready to pitch their idea to the whole room can still gain feedback. If you want to pitch your idea for a TEDx talk, then please secure your spot and book your free ticket, selecting your preferred pitch method (open or group). We only have 10 open pitch tickets and 45 group session tickets, so please book today. 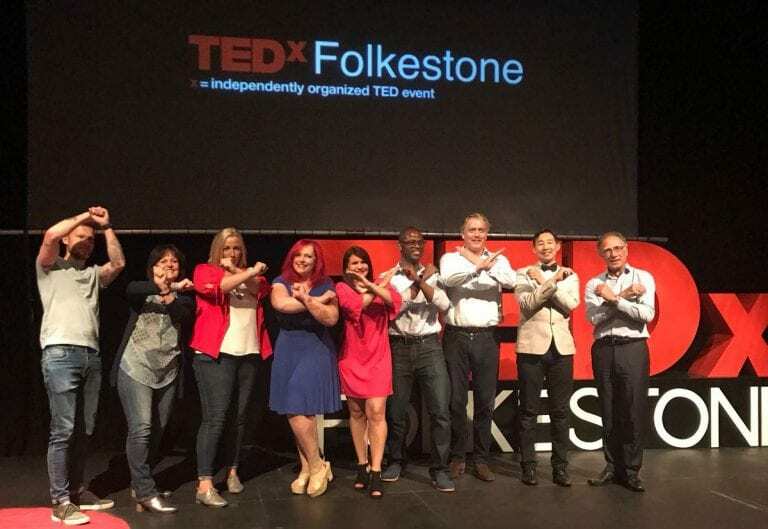 As spaces are limited, please let us know if you are unable to attend on the evening, especially if you are doing an open pitch, otherwise it may count against you if you go on to apply to do a talk at TEDxFolkestone 2019. Doors open at 6pm and open pitches kick off at 6.30pm sharp.